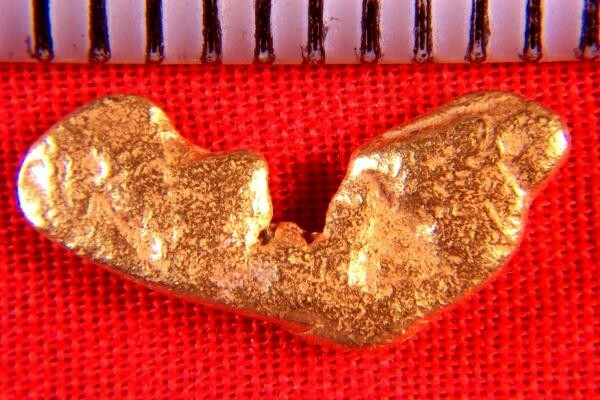 This is a really unique British Columbia Gold Nugget. The shape is very unique and amazing. It weighs 1.75 Grams (27 Grains). This gorgeous B.C. Gold Nugget is 5/8" (17 mm) long and has very beautiful color due to the high purity of the gold. 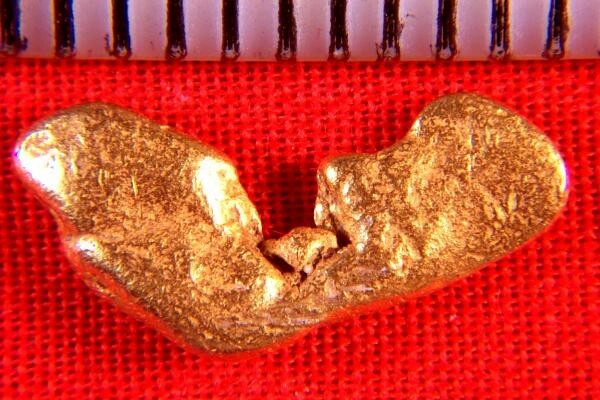 This gold nugget was recovered some years ago by a couple prospecting in the Twin Creek area of B.C. These gorgeous gold nuggets are the result of years of their hard work.